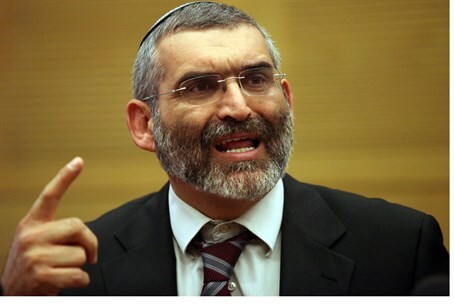 Otzma Yehudit will hold its first election rally on Wednesday and elect its leader. Former MK Ben-Ari a leading candidate for the job. The Otzma Yehudit (lit. Jewish Strength) party will hold its first election rally in Ramat Gan on Wednesday, during which it will elect its leader. The most prominent candidate for chairman will be former MK Dr. Michael Ben-Ari, who is widely supported among all party members. In addition, the party in the coming weeks will announce its list of candidates for the Knesset. Otzma Yehudit recently officially announced it will be running in the upcoming March 17 elections. The party ran in the last elections under the name Otzma LeYisrael and was just 9,000 votes short of the threshold, with members of the party blaming Jewish Home for running a negative campaign against them and affecting results. Now, the party will be running again to "take back the right" as it were, charging that there has not been ideological representation for the religious right-wing in the government. Members of the party argue that Jewish Home chairman Naftali Bennett's claim that 99.9% of Arab citizens of Israel are loyal to the state, as well as Bennett's sitting in a coalition that froze construction in Judea and Samaria, "cause tens of thousands not to vote in the coming elections, and only a campaign by 'Otzma Yehudit' will cause the voices not to be thrown away." This week, police raided the offices of Otzma Yehudit and searched the premises, saying the raid was related to an investigation into the anti-assimilation Lehava group, the leader of which was arrested with nine other activists Monday night on suspicions of "incitement".